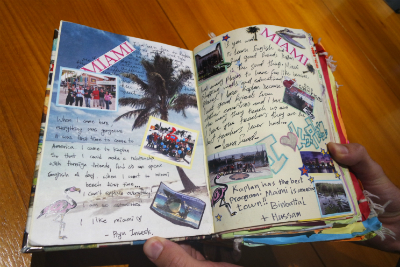 In 2012, the Kaplan head office team gave a special book to one of our schools in London. 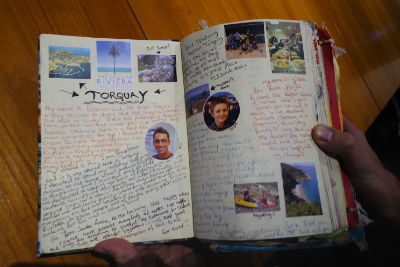 The Kaplan journal - specially designed by our content team - set out across the world to capture the amazing experiences of our students. 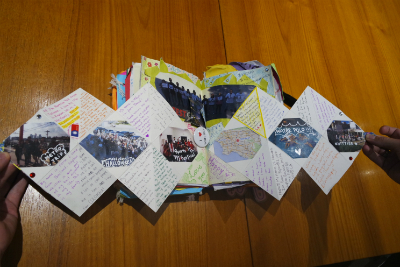 Now, over two-and-a-half years later, the Kaplan journal has returned to London from its long voyage filled with the memories, greetings and well-wishes of students from every single one of our schools. 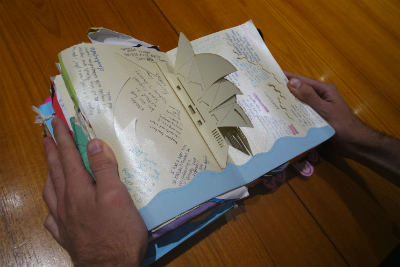 Each school was given a double page spread for students to write personal messages to the rest of the world. What we didn’t realise, however, is that our students can sometimes get a little…competitive. It all starts out with a message from Hazel, our former head office content guru who started the project. 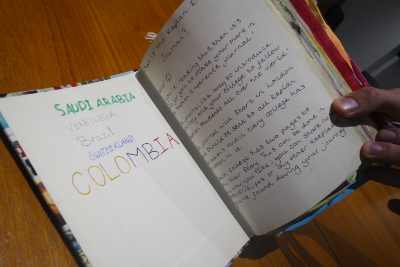 Some students took the opportunity to write in which countries they came from! As schools were getting used to the project, things started off somewhat simple but very heart-felt. As we kept reading however, the messages got prettier and prettier. Miami’s beautiful palm tree motif made us wish we were on the beach. ...and Chicago went all out with their pop up Cloud Gate sculpture – great stuff! Then we found L.A. Whittier’s amazing pull-out message board filled with love from their students. Sydney gave us a little taste of the local sights. 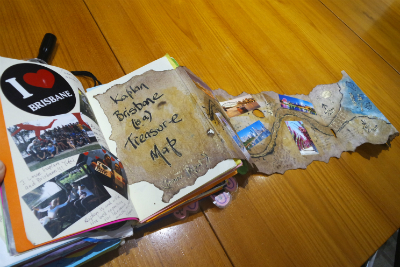 Finally, Brisbane really took the biscuit with their full-blown pull-out pirate treasure map! And of course, X always marks the spot. 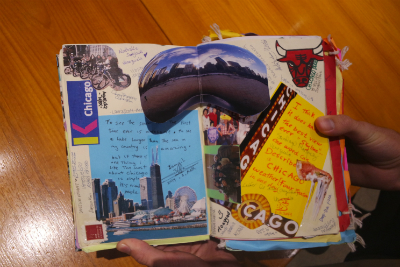 In the end, our journal became so full, it won't even stay closed. It has flash drives with slide shows, hand prints of students, and even a flashlight sticking out! Thank you to every one of you who put your own message in the Kaplan Journal. We were amazed at everyone's creativity! The journal will take a rest from its long journey and stay safe in our London head office for a while, but keep your eye out in case it decides to make a reappearance!